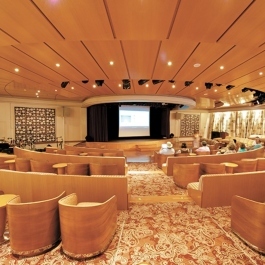 the August 2020 sailing of our Tahitian Rhapsody on board the m.s. Paul Gauguin, the flagship of Paul Gauguin Cruises. 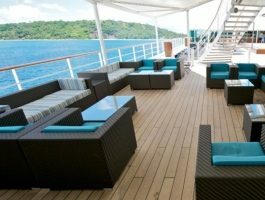 Slow down and let stress float away on secluded Huahine, Live the life idyllic with a memorable day on Motu Mahana in a private slice of paradise, enjoy an overnight in Bora Bora, which gives you ample time to explore this laid-back destination’s dramatic mountain peaks, romantic lagoons, and impossibly turquoise waters. 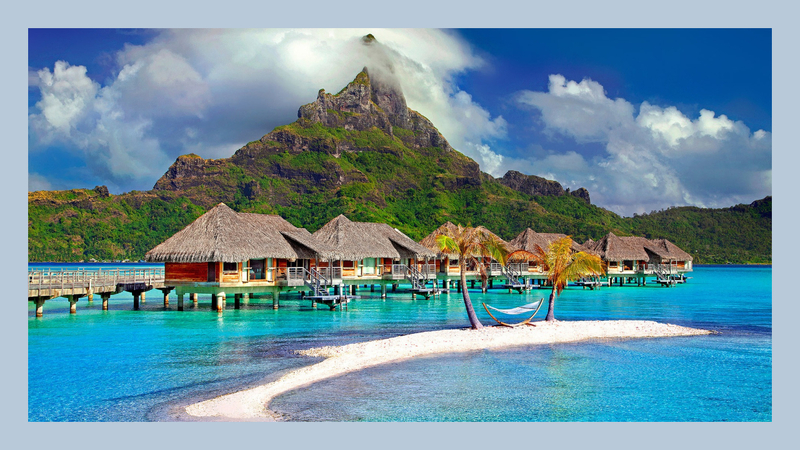 Huahine is an immense tropical jungle thriving with coconut plantations, vanilla orchids, banana groves, breadfruit trees and watermelon fields. Beyond its lush landscapes and bright blooms, Huahine is also a culturally preserved sanctuary with sacred temples hidden throughout dense vegetation. 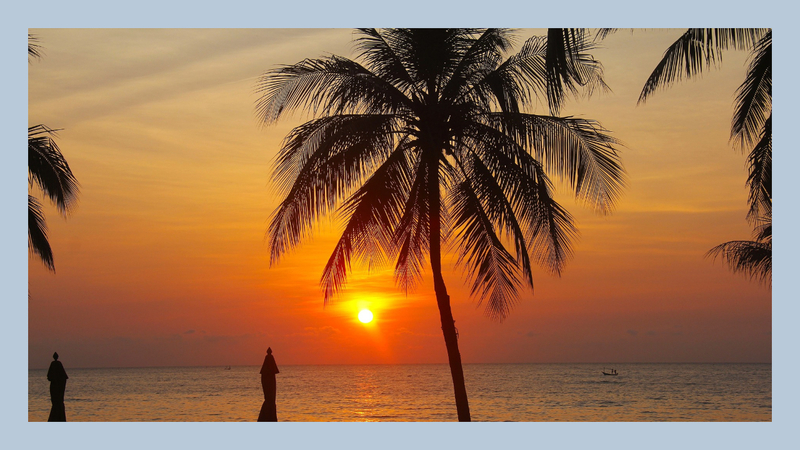 Undoubtedly, this island will leave you spellbound. On every French Polynesia sailing, guests have the opportunity to enjoy a full day at a dreamy South Seas paradise—Motu Mahana, located off the coast of Taha’a. 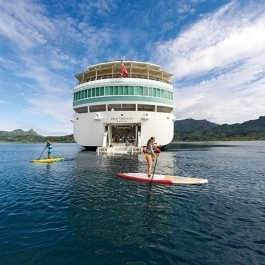 A private island is a highlight of every French Polynesia voyage and available exclusively to m/s Paul Gauguin guests. The Gauguin, ship, every day (and night!) brings new and exciting opportunities for entertainment and enrichment. 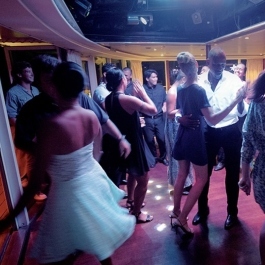 When the sun goes down at sea, Le Grand Salon comes alive with spectacular performances. 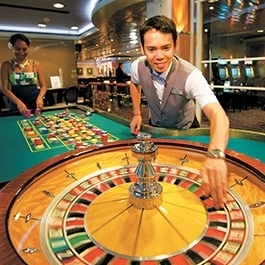 Try your luck in Le Casino, which features slot machines, blackjack, and roulette, and is open every evening. This versatile lounge the perfect place to grab a nightcap and dance under the stars to live music. Soak in the South Pacific sunshine with a day spent lounging by our outdoor pool. Cool off in the refreshing water, grab a cocktail. Designed watersports platform turns the ship into your headquarters for all kinds of adventures on the water. 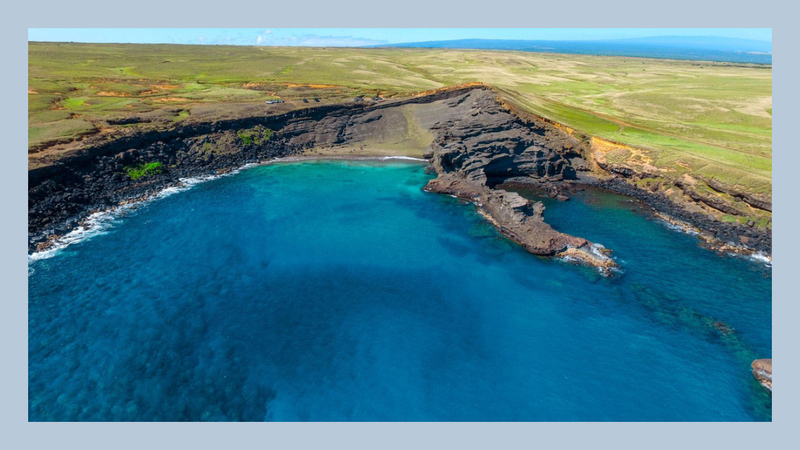 It’s as easy as descending to sea level and hopping aboard a paddleboard or launching a kayak. 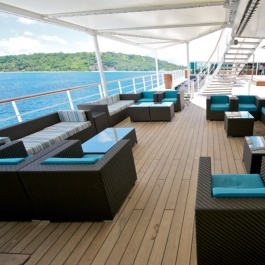 If you’ve always wanted to try SCUBA diving, on The Gauguin is the perfect opportunity. 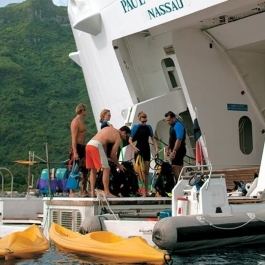 Our onboard marina offers diving excursions for all experience levels. 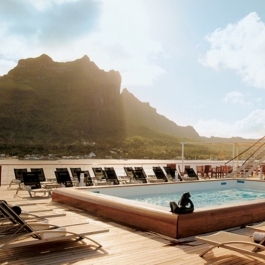 You’ll also have plenty of time to enjoy the South Pacific sunshine on the pool deck! Embark upon a five-star culinary adventure, designed by some of the world’s most talented and award-winning chefs, including Jean-Pierre Vigato. An exquisite main dining room is dressed to impress with perfectly appointed décor, fine table linens, and delicate china. Expertly prepared dishes, perfectly paired with complimentary wines. 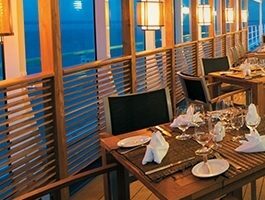 Dine al fresco or enjoy wraparound ocean views from the dining room of La Veranda, with an ever-changing selection of buffet breakfast and lunch items and a la carte options, many of which are inspired by the destinations. In the evening, La Veranda is transformed into a reservation-only dining venue serving Jean-Pierre Vigato’s gourmet cuisine. When your day’s plans call for a more casual dining experience, join us at Le Grill, located by the pool and offering a buffet breakfast, grilled lunch favorites, salads, and fresh tropical fruit. In the afternoon, stop by for tea with finger sandwiches, fresh fruit, desserts, pastries, and petit fours. 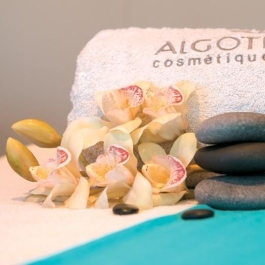 Return in the evening to sample Polynesian specialties in a relaxed atmosphere. Reservations required for dinner. Soak in the South Pacific sunshine with a day spent lounging by our outdoor pool. Cool off in the refreshing water, grab a cocktail from the adjacent Pool Bar, or take in the scenery from a comfortable lounge chair. 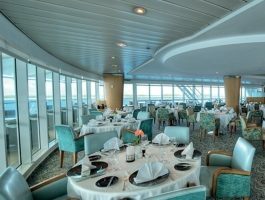 Nearly 70% of suites and staterooms have private balconies, and all feature an ocean view, temperature control, queen-size bed bathroom with full-size bathtub and shower, bathrobes, slippers, hair dryer, TV, CD/DVD player, personal safe, refrigerator stocked with soft drinks, and more. Owner’s Suite includes Butler service and complimentary internet. Bathroom includes a full-size tub and dressing area. All Cabins will have a one time additional charge of $375.00 p/p, and all Suites $425.00 p/p; this fee will be added to the last installment to cover Port Charges, Taxes, Document Fees, Gratuities, Administration and Security Fees. CATEGORY GS | 529 sq. ft.
Grand Suites includes Butler service and complimentary internet. CATEGORY A | 358 sq. ft.
CATEGORY A 7004 | 349 sq. ft.
Veranda Suite 7004 has a queen-size bed. CATEGORY B | 305 sq. ft.
CATEGORY B 7003 | 303 sq. ft.
CATEGORY C | 239 sq. 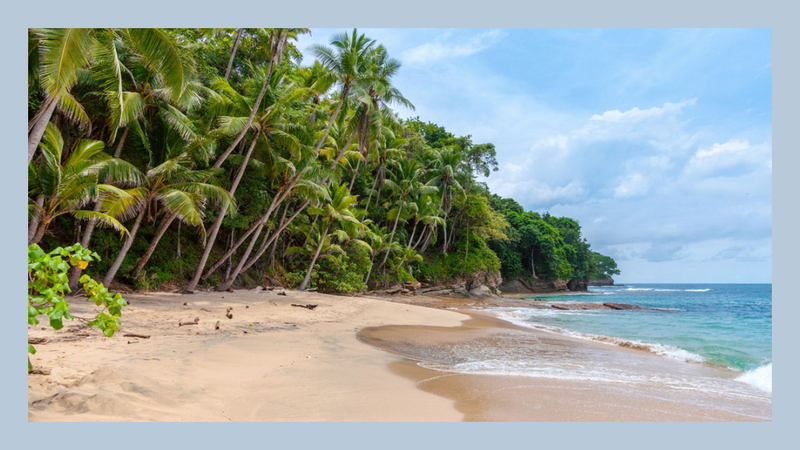 ft.
$3,749 USD per person EARLY BIRD PRICE!!! CATEGORY D | 239 sq. ft.
$3,250 USD per person EARLY BIRD PRICE!!! All guests must carry a valid passport. Passports must be valid for at least six months after your return date of travel. Guests are responsible to ensure validity dates of passport and to secure proper documentation for countries visited. Please consult your respective State Department or Foreign Ministry for specific Visa and entry requirements for countries scheduled on your itinerary. For U.S. citizens, further information can be found by visiting: http://travel.state.gov/. 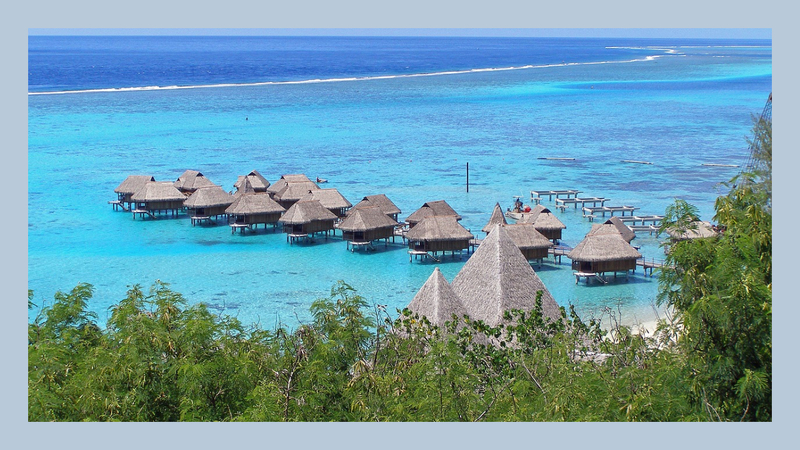 Citizens of the U.S., Canada, and European Community are not currently required to have an entry Visa for Tahiti, but a passport that is valid for at least 6 months after the completion of travel, and a valid return airline ticket are necessary. The Ministry of Health in French Polynesia confirms the requirement that travelers arriving from countries with high risk areas of yellow fever be vaccinated for yellow fever. The vaccine is required for all travelers over the age of 12 months who are arriving from high risk countries and for those who have spent more than 12 hours in any airport of these high risk countries. A single dose of this vaccine gives long-lasting immunity and protection for life against yellow fever. It is the responsibility of the traveler to ensure that they are vaccinated for yellow fever at least 10 days before their departure. A vaccination certificate may be requested at boarding and/or on arrival. Click here to view the list of high risk area countries that require yellow fever vaccination. What is the currency aboard the ship? The U.S. Dollar is the standard currency aboard The Gauguin, and you may exchange dollars for small denominations of local currency at the reception desk. For your convenience at the time of embarkation, Paul Gauguin Cruises will request a confidential registration of an accepted credit card. 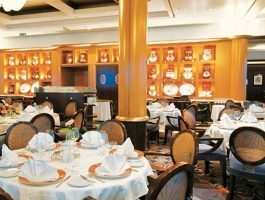 The night prior to your final disembarkation from the ship, a detailed statement of your shipboard charges for onboard services and products will be delivered to your suite or stateroom. All such charges must be paid in full by cash or accepted credit card (Visa®, Mastercard®, or American Express®). What is the electrical voltage on the ship? The standard electrical voltage aboard ship is 220 volts. Both 220-volt and 110-volt outlets are available in bathrooms and staterooms.